Velocity was founded by Danny Maher. Danny grew up in Ft. Lauderdale, Florida, and went on to earn a Chemical Engineering degree. He worked in shipping, in electrolysis prevention, but began a hobby of racing boats. At 25 he had built a 32' ocean racer powered by a straight-drive Chevy V8 427 that would do 55 MPH. This lead to a business in building offshore racing boats. This business was very successful, and after a decade he sold the company and "retired" at 35 to Sebastian, Florida. Danny then bought and built an Ultralight (Wizard) and taught himself to fly (suffering a crash). 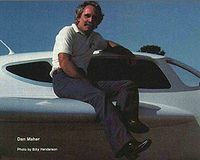 During a visit to Merritt Island Airport, he admired the Long-ez of Neil Hunter, who's "Big-EZ" was a cover plane for Sport Aviation in January 1986. Wanting to buy one, this is when he first heard about "homebuilding" and the EAA. Danny became enamored with the long-ez, and built 2! The first was done in 10 months, the second was a test-bed for his ideas. He wanted to make the plane more comfortable, with more space, and more upright seating. Danny founded Velocity in 1984 in Sebastian, Florida with himself as President. Pete Hoffman was the Vice President, and Neil Hunter was in charge of Public Relations. The prototype was built in 7 months, and first flew in the summer of 1985. It weighed 1,100 pounds empty, with a gross weight of 2,550 pounds and a Lycoming 180 HP engine and composite prop (built by Danny). Cruise was claimed as 220 MPH. Flight testing of the prototype was completed in mid-October 1985, and thus did not attend Oshkosh Airventure, but was debuted at Sun-n-Fun in 1986. That first airplane, with a serial number of DMO40, was registered as N401DM. This airplane was flown by Billy Henederson of Sport Aviation, who noted 1500-2,000 fpm climb rates and a top end of 184 kts. This first aircraft also featured a retractable nose gear. Note that the original aircraft did not have full-length rudders. The serial numbers started with DMO-Dan Maher Original, number 40. It's believed that the number 40 was chosen to reassure buyers that they were getting a proven product! 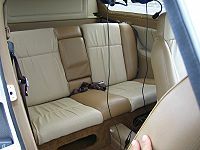 The aileron push-pull cables were Morse marine style, because he was familiar with their operation. The brake master cylinders were from the Datsun/Nissan B210's clutch! Build time was estimated at 800-1000 hours with the kit in the $18,000 range. The kit featured 43 1/2" wide fuselage, though the prototype was only 42 1/4". Similarly the height was 40" on the prototype, 41" on the kit, and length was 81". The main wing area on the prototype was 96.4 SQFT and the canard was 19.75 SQFT, for a total area of 116.15 SQFT, for a gross loading of 19.37 lbs/SQFT. These were increased slightly for the kits. The outer wing panels were modified Long-EZ airfoils with Roncz vortilons added. The strakes were Danny's design. 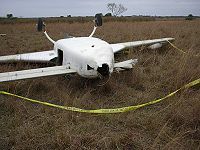 The canard shape was modeled after the horizontal stabilizer from a German glider. It was designed to avoid the losing-lift-when-wet issues that other canard airfoils were having at the time. Danny is the registered builder of 4 Velocitys (DMO040, DMO100, DMO255, and 029; N401DM, N7044Q, N255DM, and N4253M registration). (NOTE: The advertised wing dimensions on production aircraft were a span of 28.63 FT, for a wing area of 125 SQFT, and wing loading of 19.6 lbs/SQFT). These wing dimensions were maintained until 1992 when the 173 (or as it later came to be called, the "Long Wing") wing was offered. This was a play on the Cessna 172, and was meant to tame the handling characteristics to the point where any pilot could comfortably handle it. The 173 was intended to be unpaved-runway-capable, with sturdier gear that stand about 2.5" taller than the original, with bigger 6.00x6 main wheels, more wing and canard (20%) span, and a thicker airfoil, and a 58 MPH stall speed and 190 MPH top speed (5). This also was just after the (see Kitplanes November 1991 Kitplanes December 1992) so called deep stall mystery was solved. As part of this solution, the wing trailing edge was extended to the aft edge of the tip sails, and the aft inboard camber was changed (2), and 60" leading edge cuffs were offered to existing aircraft owners. The cuffs are required for DMO serial numbers below 115 (approximately, 3). Kits after 115 were shipped with the new wing, and an extra forward fuel baffle (3). The new "Standard" wing dimension were 29.4' span, 122 SQFT wing area, and the 173/Long Wing dimensions were 31' span, 145 SQFT wing area. In 1986 Scott and Duane Swing of Dayton, Ohio bought their first Velocity Kit. Later they decide to design and build a retractable gear system, and work closely with Danny during it's development. In 1988 the design is completed and displayed at Osh Kosh Airventure, and several units are presold to Velocity builders, marketed under the name "Tri-Q Development". Sadly, the demonstration airplane is consumed by fire in their shop prior to its first flight. Needing to support customers the Swings build a replacement in 7 months, completing it in August 1989 (N125V, DMO074), which became the first retract. This retract sales business then led to a "builder's assistance" program, which was based at the airport at Phillipsburg Ohio, which they bought. The facility would allow three planes to be worked on simultaneously, and seven aircraft were completed before closing the business. With this business relationship as a foundation, when Danny decided to sell the business (after rolling out the redesigned deep stall wing solutions), the Swings are on the short list. The Swings decide to (7) purchase the business just before Osh Kosh 1992 (6), and move to Sebastian, and Danny stays on as a consultant during the transition. An interesting couple of side-notes, the Swings intended to offer a belly-mounted baggage pod and a Subaru engine conversion (7)! In 1993, the Subaru engine was featured in Sport Aviation(8), as well as at Osh Kosh Airventure, but fell out of favor shortly thereafter, and apparently this disappoint lingered as Velocity has since seemed (to me) to be somewhat gun-shy of automotive conversion powerplants. I have never heard what happened to the baggage pod idea, but there is at least one Velocity sporting a "Draggage" Pod. 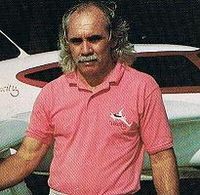 Also in about 1993, Alan Shaw's Dynamic Wing Company began marketing fast-build wings. In 1995, Velocity debuts the new "Elite" gull-wing door option, with a center keel instead of a seat-back bulkhead. This model takes the kit world by storm as a major improvement, and is featured in print (10, 11, Velocity Views Quarter 3, 1995). The same year Mark and Nancy Machado open Composite Areo (9) to sell kits and service Velocity builders in the Mountain and Pacific time zones. This business becomes Velocity West shortly thereafter, at Lincoln Memorial Airport near Sacramento in 1995. Also in 1995, Ric Lavoie (builder of N570) begins publishing a high-quality newsletter for Velocity builder's, owners, and want-to-bes. 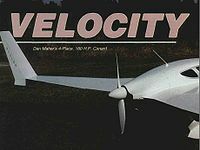 In March of 1997 Velocity debuted the XL (October 1997 Kitplanes "XL Debut" 13), an "Extra Large", Velocity. The XL uses the same "Long Wing" as the older "173" model, but with a significantly enlarged cabin that allowed mounting the larger, six cylinder engines with larger strakes for fuel. The original design work for the XL was done by Jean Prudhomme, and once again received rave reviews in the press (14, 15). In 1998 the fast build (fuselage and wings) was offered. Also in 1998, Scott Baker is hired by the Machados as test pilot and CFI at Velocity West. At Osh Kosh Airventure 1999 Velocity debuts the SUV, the "Sport-Utility" Velocity to cash in on the SUV craze of the early '00s. It is billed as the entry-level (19) Velocity, offering only one gull-wing door, a cut-down keel, and control yokes that could be ready to fly for under $50,000 US. Sadly this version never developed the traction that Velocity had hoped for, in fact many SUV purchasers later retrofitted the copilot side door, and the model was discontinued as a separate model towards the end of 2002 (20), though the yoke option was still available. During the same period (1998-2000), changes to the fast-build wing options began to take pace. Alan Shaw's Dynamic Wing Company requested a price increase for fast-build wings, so the factory discontinued servicing these customers (to remove the middleman), and fast-builds were purchased directly from WingCo (24). Then capacity constraints and occasional spot delaminations in the Dynamic Wing (WingCo) wings, moved Velocity to begin building fast-build wings in-house. In order to improve quality, delivery time, and add margins Velocity then began to look to build hollow-core wings with a Brazilian partner. The first set was static tested in March of 2000 (21), and test flown for the first time in front customers in 2001 at Sebastian, where "Bob1" crashed with Brendan O'Riordan at the helm due to improper winglet construction (NTSB report). Also early in 2000, the Machados move to Sebastian as partners in Velocity (16), the Service Center opens (16), and Scott Baker opens Sierra Bravo (16) as a builder's assistance center. In 2000 Scott moved to Sebastian as Director for the Service Center (22). Then in 2001, the Machado's leave Velocity, and Scott Baker is elevated to Production Manager (23). In 2003 Velocity was offered for sale as Duane wanted to plan his retirement, and the Scotts were happy with their current roles in the company. Interest was first gaged to see if there was interest in a group of builders becoming owners, but sufficient interest was lacking. In 2006 a group called Velocity Aerospace was formed to purchase Velocity Aircraft and pursue type certification of the Velocity in China. This purchased never materialized, however, and eventually the Rocket Racing League completed the purchase in early 2008. Rocket Racing had been a partner since April 2006, when Velocity started building trainer aircraft for the league. Also in 2003, June, the XL-5 or "Dash 5" was introduced. The primary change for this new 'model' was a bench back seat (with a small cut-down keel) that allows 3 children or smallish adults to be seated. The gross weight was also bumped up slightly, and the new toe-brake option was introduced. The Velocity Views newsletter ceased publication in 2004, after repeated requests from builders to have the "Kitplans Changes" available without having to pay the yearly $30 fee for the Newsletter. The Velocity Online newsletter is only published 4 times before interest at the factory is lost, and I (for one) feel the community was the poorer for it. Also in 2004 the factory was hit by hurricanes Frances and Jeanne. In 2006, the factory was playing with the idea of building a twin engine version, and apparently even began molding a fuselage. They showed a model in the booth at Oshkosh in 2006, but progress was slow as kit sales slumped, and eventually the talk of a twin died away. 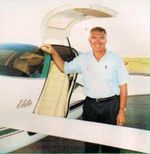 Antonio Espinal also dreamed of building a twin (in addition to his jet) prior to his tragic death flying his Beech 95 in 2010. In 2008, in association with capital infusion from the Rocket Racing buy-out, Velocity announced the turbo-prop powered Velocity Turbo. This is envisioned as a 6 seat luxury airplane, with a 45' wingspan and 4,300 lbs empty weight (7,500 lbs gross). Range is targeted at 1,400 nm with a 28,000' ceiling. Speed numbers have not yet been offered. At Sun-n-Fun 2010 the Twin was re-announced, along with the automatic climate control system, the first private installation of the dual-stick option, and the Luxury Edition XL Center Console and Instrument Panel. There was also speculation that the association with Rocket Racing may be coming to an end, with the Swings possibly taking full control of the business back. In the fall of 2011, it was announced in the private Velocity Builder's Forum (the Reflector) that the twin was under construction. On March 13, 2012, it was announced that the airworthiness certificate had been issued and that the first flight had been successfully completed. A short time later it was subsequent announced that the Twin would debut at Sun-n-Fun in April of 2012. All articles moved to Downloads tab for members only. 2) July 1991 Sport Aviation "Solving a Deep Stall Mystery"
4) 1991 Kitplanes "Ground Testing"
5) April 1992 Kiplanes "Flying the 173"
6) December 1992 Kitplanes "Velocity Sold"
7) Sport Aviation "Business Side"
8) Sport Aviation July 1993 "Great Pumpkin turns into Pink Panther"
9) Sport Aviation July 1995 "Velocity's California Connection"
10) Kitplanes December 1995 "Velocity Matters"
11) Sport Aviation January 1998 "Flying Qualities Report"
13) October 1997 Kitplanes "XL Debut"
14) January 1998 Sport Aviation "Rock and Roll"
15) January 1998 Sport Aviation "Flying Qualities Report"
18) November 2000 Kitplanes "Airborne SUV"
This page was last modified on 23 June 2015, at 18:33.